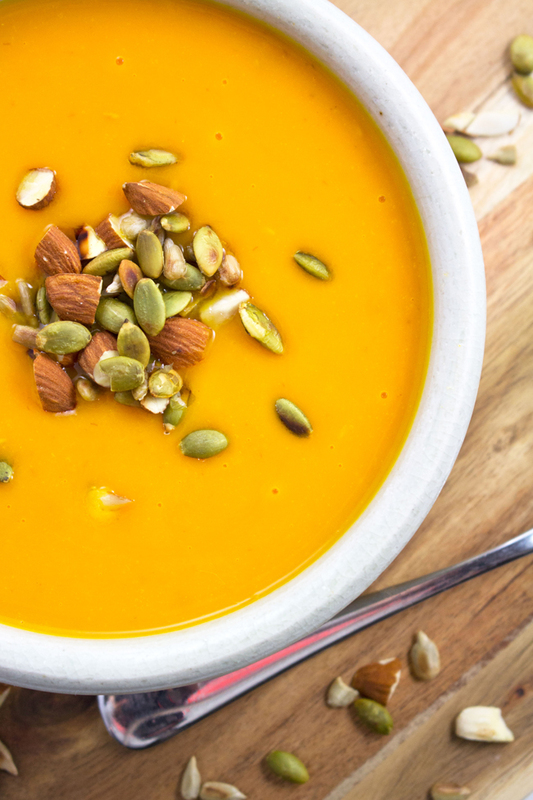 This Butternut Squash Soup is loaded with vitamins, nutrients and tastes amazing, eating healthy couldn’t be easier! 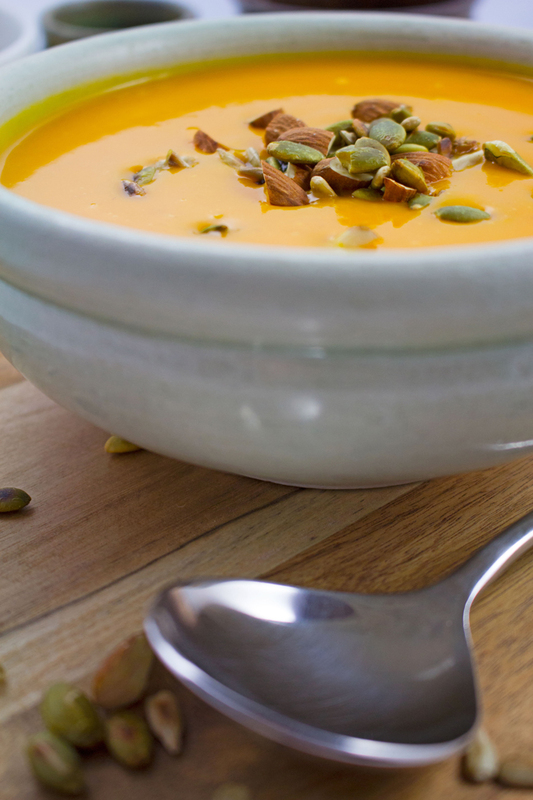 Butternut Squash Soup is vegetarian, gluten-free, dairy-free and vegan. It is wonderfully thick and hearty soup which will keep you nice and warm on all those chilly nights ahead. With only a handful of ingredients and a quick prep and cooking time you can be slurping down on this soup in no time at all. Butternut squash is a great heart-friendly choice as it contains low amounts of fat and has a decent dose of dietary fiber. 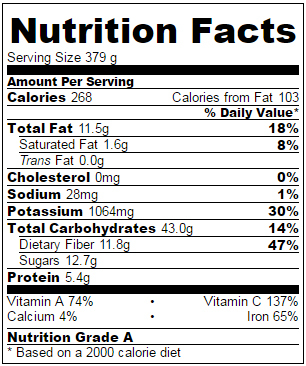 It’s also high Vitamin B6 which is great for the immune system and Potassium which is a great for bone health. 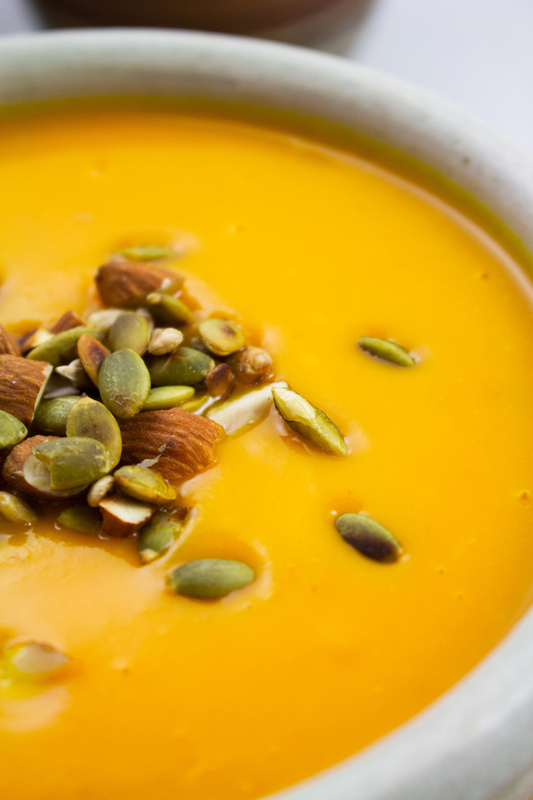 One cup of butternut squash also provides over half your daily Vitamin C intake for the day, wow! And the best thing about this soup is its super healthy factor. No dairy, no meat just packed full of veg and topped off with a sprinkling of toasted almonds, pumpkin seeds and sunflower seeds. Healthy living couldn’t get much easier or tastier than this. While you’re here, why not try our delicious and hearty Chickpea , Chorizo and Kale S-toup! Peel the butternut squash and remove the seeds. Roughly cut into 1½“ chunks. Peel and finely chop the onion and carrot. In a large pot warm the olive oil over a medium heat. Add the onion, carrot and cumin seeds and gently sauté for about 3 minutes before adding the butternut squash. Continue to sauté the vegetables for another 5 minutes. Add your liquid then bring to the boil, add the brown sugar and reduce to a simmer for about 20 minutes or until the butternut squash is cooked. Using an immersion blender, regular blender or food processor, blend the soup until smooth. If you are not using an immersion blender allow the mixture to cool a little before blending. Taste the soup and season with the required amount of salt. 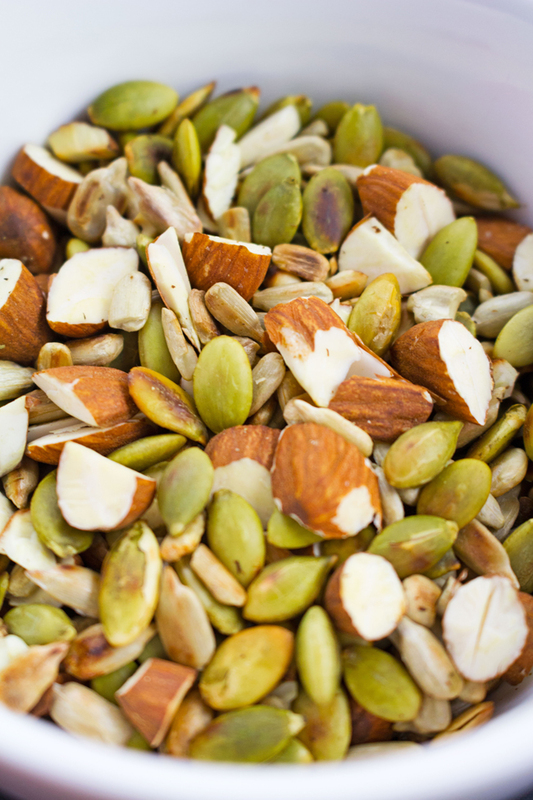 To prepare the toasted nuts and seeds simply place the almonds, sunflower seeds and pumpkin seeds in a pan and toss over a medium to high heat until toasted. To serve, ladle the soup into bowls and sprinkle the nut and seed mix on top.